Michael and his wife both signed up for the Healthy Wage individual challenges. 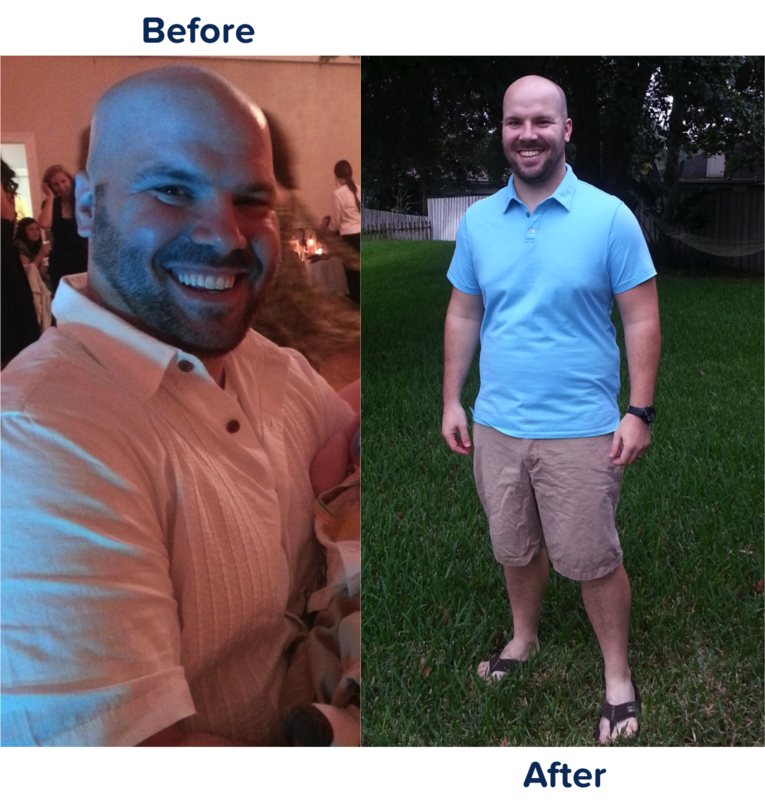 His wife had heard about HealthyWage on “The Doctors,” and they both agreed it sounded great to lose weight and make money. He set out to follow a strategy similar to his wife, including only drinking water and coffee but cutting out any other type of drinks. This helped feel fuller while also reducing their caloric and sugar intake. Using apps to count their calories really gave Michael a whole new perspective about what he was eating and where all the calories went. He also cut out carbs and focused on lean meats, fresh fruit, and lots of vegetables. Since Michael felt his wife had the better willpower of the two, he relied on her the whole way to stay on track. They both took separate paths with exercise but also spent time walking together. Michael did admit that they were both competitive people, which also helped keep them focus on the financial incentive to see their weight loss goals through. They made a friendly competition between them that whoever lost the most would get to spend the money. This type of teasing kept it fun without putting any damper on the support they provided each other. Michael and his wife did give each other at least one day a week to go out and enjoy a meal on the weekend or have some other type of treat as a reward for their hard work.